"EVM tampering is the bitter truth of the country's democracy. One can crack jokes on us initially, but fearingbeing made fun of, we cannot refrain from speaking the truth," Manish Sisodia told reporters. 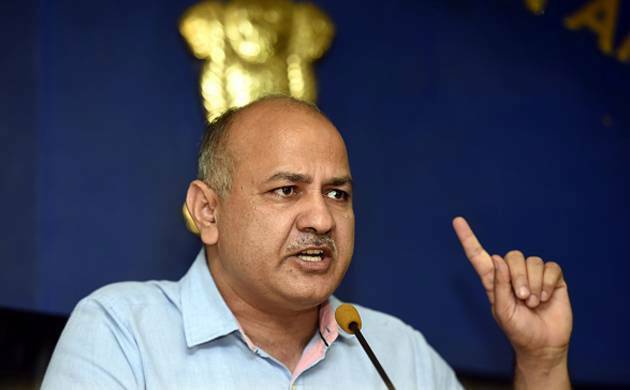 Delhi Deputy CM Manish Sisodia on Wednesday blamed EVMs for AAP's dismal performance in the Delhi MCD elections. Staring at a rout, the party got into a huddle at Chief Minister Arvind Kejriwal's residence to hammer out the nextcourse of action, which may involve agitation over EVMs as already indicated by the chief minister. "EVM tampering is the bitter truth of the country's democracy. One can crack jokes on us initially, but fearingbeing made fun of, we cannot refrain from speaking the truth," Sisodia told reporters. Senior minister in the Delhi government Gopal Rai said an"EVM wave" is sweeping across the city. By 11 AM, only one AAPcandidate, Ashok Kumar, had registered a win. He won eastDelhi's Shakurpur ward. "This isn't a Modi wave, this is an EVM wave. The samehappened in Uttar Pradesh and Uttarakhand. It is a majorthreat against democracy. The rights of the electorate willhave to be ensured. The BJP wants to demolish democracy," Raitold reporters. Senior adviser to the AAP government, Nagendar Sharma, tweeted: "Sweeping Delhi MCD polls without sweeping Delhi's streets for a decade. When machines are with you human will is of no relevance." Admitting defeat, Delhi Water Minister Kapil Mishra, wholost three out of five wards in his constituency, said the newly elected MCDs and the Delhi government must now work intandem for the betterment of the people. The party's near-certain defeat comes barely two weeks into its drubbing in the Rajouri Garden Assembly by poll and two years after it registered a thumping victory in the assembly polls winning 67 seats in the 70-member Delhi Assembly.